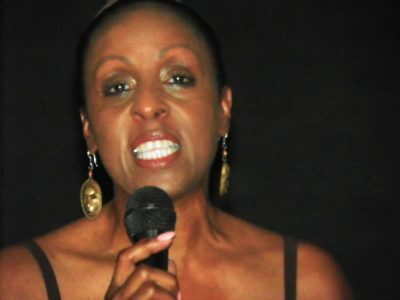 Maryanne Godboldo , fighting tears, speaks at rally July 17, 2011. The announcement brought heart-rending shock and grief for the staff of Voice of Detroit as well as Maryanne’s tens of thousands of friends and supporters across the world. Her departure has left a hole in our hearts that is nevertheless filled with the beatific vision she left behind: the image of a lone, proud, unconquerable woman defending her child against the powers of the racist state, by any means possible. 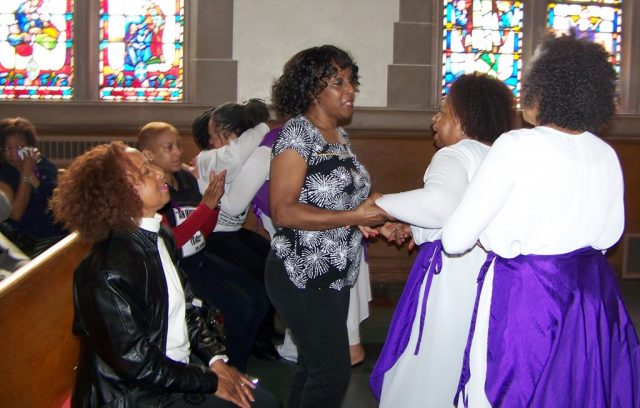 Maryanne Godboldo (center) greets dancers who performed “Testify” at 2011 rally for her at Hartford Memorial Baptist Church; sister Penny Godboldo, head of Marygrove College’s Dance Department, who choreographed the dance, at left. Both sisters, as well as Maryanne’s child Ariana, are trained dancers. Maryanne was a beautiful woman, uniquely filled with an overwhelming love for her daughter Ariana, her family and her people, a talented orator, a dancer, a devout member of Hartford Memorial Baptist Church, a people’s activist, and part of the Ralph and Lovey Godboldo family of many generations known across the community. Her death was a direct result of Wayne County Prosecutor Kym Worthy’s merciless five-year prosecution of her for holding off a 10-hour illegal police raid aimed at kidnapping and forcibly medicating her then 13-year-old daughter Ariana Godboldo-Hakim, as well as the battle she and Ariana’s father Mubarak Hakim were forced to wage to retain custody of Ariana. Maryanne Godboldo with portrait of Ariana outside her westside Detroit home. Despite Maryanne’s repeated victories on both the criminal and family court fronts, Worthy, who herself has a daughter Ariana’s age, shamelessly appealed criminal charges against Maryanne a third time. On the eve of her third criminal trial June 15, 2016, Maryanne suffered a massive brain aneurysm and entered into a coma. It was only then that the prosecutor’s office dropped charges against her. She said that Maryanne had been helping many families fight state-sponsored child kidnapping and the forced administration of psychotropic drugs. She was also active in the home schooling movement. Tanks roll down Linwood to confront mother and child. 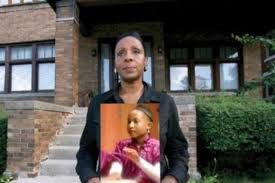 On March 24, 2011, Maryanne Godboldo barricaded herself in her home for 10 hours, standing off a Detroit police unit including tanks, helicopters, armored vehicles, and officers carrying assault weapons seeking to kidnap her 13-year-old daughter Ariana. CPS worker Mia Wenk recruited them. Wenk, who had only a bachelor’s degree in criminal justice, had decided that Ariana needed to be kept on the dangerous medication Risperdal despite its negative side effects, which caused Maryanne to begin weaning her off the drug under her own doctor’s supervision. The New Oakland Child-Adolescent & Family Center first prescribed Risperdal for Ariana when her mother took her there due to Ariana’s severe reactions to recent immunizations. They reported her when Maryanne took her child off the drug. The Center has had paid connections with pharmaceutical companies including Johnson & Johnson, the makers of Risperdal, since at least 2004, according to its website. Kimberly Smith, coordinator for 10 years of adult and pediatric clinical trials for those companies at New Oakland and other facilities, admitted to VOD that she is paid by the companies. 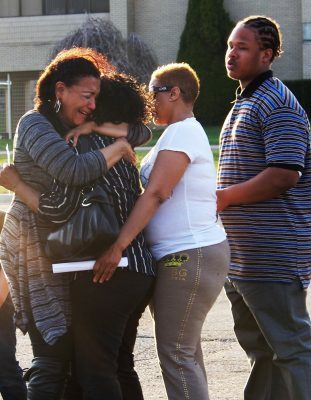 Maryanne weeps in arms of her family and friends outside Hawthorne Hospital where Ariana was held captive, during one of many vigils. Wenk went to Wayne County Juvenile Court and had a probation officer rubber stamp an illegal “court order” for Ariana’a removal with the name of Chief Judge Leslie Kim Smith. She then recruited cops she knew, who went to the house without paperwork to take Ariana. Maryanne adamantly refused them admission. The cops illegally and unsuccessfully tried to break in without a warrant, then claimed they heard a gunshot inside the house. Soon, tanks were rolling down Linwood as they did during the 1967 rebellion, helicopters were flying over the neighborhood, and police armed with assault weapons took up positions outside the home. Maryanne finally left the home after community supporters said they were afraid she would be killed like seven-year-old Aiyana Jones was in a similar raid in 2010. Maryanne was immediately arrested. Ariana was kidnapped andtaken without parental consent to Hawthorn Children’s hospital for six weeks. There, the child was medicated with FOUR psychotropic drugs, forced to removed her prosthetic leg which she had worn since she was an infant, and allegedly subjected to sexual assault. After the cops seized Maryanne, Wayne County Prosecutor Kym Worthy charged her with eight assaultive felony counts and jailed her. 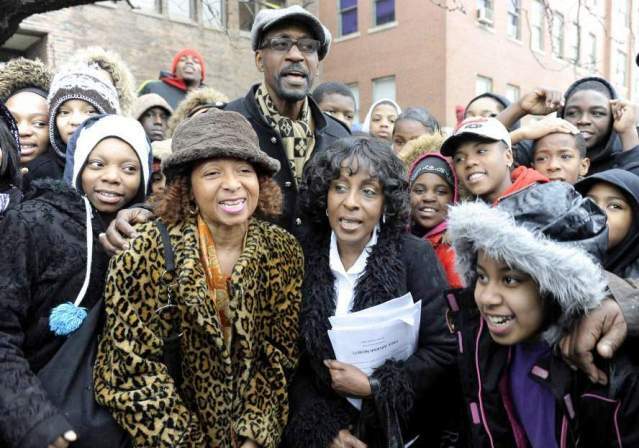 Maryanne, her sister Penny Godboldo-Brooks, Ariana’s father Mubarak Hakim, attorneys Allison Folmar-Givens, Roger Farinha, and Byron Pitts, and the Social Justice Ministry of Hartford Memorial Baptist Church launched a massive campaign to free both Marianne and Ariana. It reached all corners of the world, as far away as Australia. On Aug. 29, 2011, 36th District Court Judge Ronald Giles emphatically dismissed all criminal charges against Maryanne, after an extensive two-day preliminary examination. 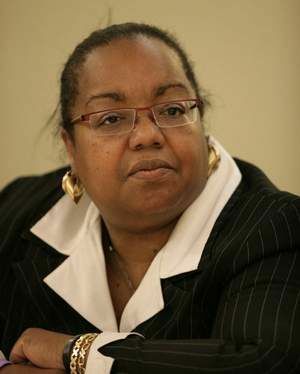 When Kym Worthy appealed, Third Judicial Circuit Court Judge Gregory Bill dismissed the charges with similar language. But Worthy, who ironically has a daughter Ariana’s age, went to the Court of Appeals, which produced an order giving leeway to Judge Giles to once again dismiss the charges on different grounds, which he and Judge Bill did. It was after Worthy forced a third criminal trial that Maryanne succumbed to the brain aneurysm that eventually took her life. During the five-year battle, the sisters lost their mother Lovey Godboldo as well as Penny Godboldo-Brooks husband Steve. Penny Godboldo-Brooks said Ariana now lives with her. Despite the horrific trauma and loss of her mother, she said Ariana is improving. She said a special event sponsored by Hartford Memorial’s Social Justice Ministry is in the works to honor Maryanne’s legacy. Mubarak Hakim, Penny and Maryanne are embraced by children who supported them and Ariana during rally outside Lincoln Hall in Detroit. 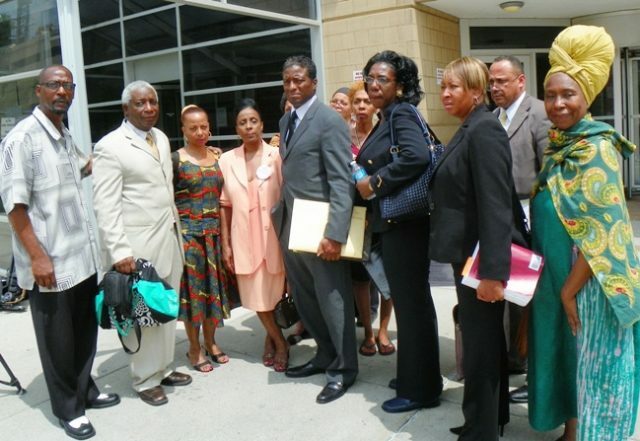 Metro-Detroit CLUW members, encouraged by CLUW Brother Ron Scoot, went to court hearings in support of Maryanne Godboldo. I am deeply saddened to hear that Maryann passed away. Recreation Center as was Geri Allen another gifted artist who died recently . First Geri then last week Kronk burned down. Now Maryann. The loss is suffocating .